The idea of force-feeding in eating disorder treatment is highly controversial. It is ironic that the idea of requiring sustenance, which all living things need to survive anyway, has the power to create such extreme revulsion. Perhaps it is not so surprising that old-school treatment professionals object to force-feeding. 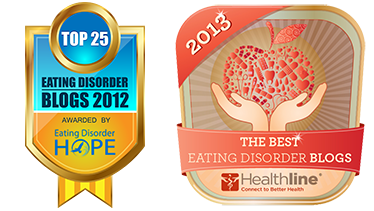 You know the types – those who believe that eating disorders are “not about food,” that sufferers are the victims of over-controlling parents or a size-0 obsessed society or a fear of growing up. The idea that eating disorder patients have willfully chosen self-starvation, and will begin to eat again once their “underlying issues” have been resolved, follows logically from these unsubstantiated theories. Most families encounter extreme resistance during re-feeding. I have heard stories of previously sweet, compliant, well-behaved young girls hurling swear words and spewing horrid insults at their parents during re-feeding. I myself have been on the receiving end of my share of f-bombs and hateful remarks from patients when I maintain an uncompromising stance of full nutrition and complete weight restoration. I have heard stories of girls running away from home, throwing ravioli across the room, smashing plates, locking themselves in rooms, and attempting to jump out of moving vehicles – all in response to the intolerable anxiety of re-feeding. And these scenarios are the norm, not the exception. I believe that families need to be fully informed of what is likely to happen during re-feeding so that they can prepare themselves to deal with what lies ahead. They need to know that what they are encountering is not evidence that they are doing something wrong, but rather is par for the course with this illness. But I digress. The process of re-feeding an anorexic very often involves force. It has to, because most anorexics are not able to eat unless they are given no other alternative. In hospitals, this may require nasogastric tubes or IV nutrition. In residential or day treatment settings, it may involve earning privileges by finishing meals. In home-based re-feeding, it may involve not leaving the table until the meal or snack is 100% complete. The patient cannot choose to eat, but she will eat when she is forced. And she absolutely must eat a sufficient amount and variety of foods in order to recover. For those who have never experienced or witnessed the agony of an eating disorder, the idea of forcing someone to eat may sound inhumane. For those of us who have been in the trenches, we know that it is quite the opposite. Our society values an individual’s right to make her own decisions. Respect for individual autonomy and self-determination is a cornerstone of democracy. In addition, our society embraces paternalism, which is the belief that it is ethical, at times, to intervene in the life of another person who does not desire such intervention because intervening will protect the person from harm, much in the way a loving father would intervene against his child’s wishes in order to protect the child. Our healthcare system and our government embrace the ethics of self-determination as well as the ethics of paternalism. For example, mandated reporter laws require physicians, therapists, social workers, and teachers to report cases of suspected child abuse and elder abuse, even if the victim doesn’t want the abuse to be reported. Laws allow for the temporary involuntary hospitalization of individuals who are suicidal, homicidal, or floridly psychotic. Many newer state laws require drivers to wear seatbelts and to abstain from text-messaging while driving. Hospitalized patients who engage in self-injury are forced into physical or chemical restraints. Children are forced to attend school at least through the age of 16. Suffice it to say that our great country, which was founded on the values of liberty and independence, recognizes that autonomy is not limitless. Children are forced to get an education and forcibly removed from abusive or neglectful homes. People are forced into hospitals for their own protection when they are a danger to themselves or others. Drivers are forced to wear seatbelts and forced to wait until they reach their destination before sending that oh-so-important text message. Remember the 13-year-old cancer patient who skipped town with his mother last spring in order to escape court-ordered chemotherapy and radiation treatment? Well, the police eventually found him and forced him into treatment. He has just finished his last round of radiation and he is now cancer-free. This boy’s type of cancer has a 90% cure rate in children when treated with chemo and radiation. His doctors reported that he probably would have died if he hadn’t received these treatments. Anorexia nervosa is also deadly and disabling disorder. Research shows us that most cases of adolescent anorexia nervosa can be successfully treated with a combination of full nutrition, weight restoration, family support, and evidence-based psychotherapy. Without treatment, or with “traditional” treatment which doesn’t aggressively push full nutrition, only 33% of patients ever fully recover. I think I understand why people are frightened or repulsed by the idea of force-feeding. The idea of pushing full nutrition immediately after eating disorder diagnosis is still controversial, and to many people, the word “force” seems punitive or even abusive. It may conjure up images of physical torture and it may seem to conflict with the aforementioned democratic values. Eating disorder treatment should never be punitive or abusive (although it may feel punitive and abusive to the patient). Re-feeding is only one component of successful treatment. Cognitive, emotional, and behavioral symptoms and co-morbid conditions must be addressed as well. We all want to help patients recover rather than inflict further anguish. The illness itself is pure hell, and the recovery process can be even worse. But allowing the patient to engage in eating disorder symptoms is far more inhumane than force-feeding a patient to save her life, improve her health, and propel her towards full recovery. Perhaps we are splitting hairs or just arguing over semantics. The American Heritage Dictionary provides several definitions of the verb “force,” including 1.) to compel to perform an action, 2.) to move something against resistance, and 3.) to produce with effort. 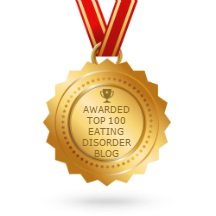 Anyone who has witnessed, experienced, or been involved with the process of re-feeding an anorexic would undoubtedly agree that it involves 1.) compelling them to perform an action (eating), 2.) 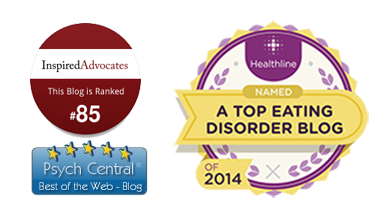 moving against resistance (the eating disorder thoughts, feelings, and behaviors, and 3.) an extreme amount of effort for both the caregiver and the patient. Call it whatever you want – supported nutrition, letting them eat, helping them recover, empowering parents to combat eating disorder symptoms – all of these labels are quite accurate and descriptive. So is force-feeding. And I don’t believe it is a bad thing.